Joe Applebaum and Stu Maddux present on the epidemic of loneliness hitting our culture. Many thanks to those who made our January 2019 general meeting quite fun and informative. Stu Maddux and Joe Applebaum are documentarians working on their newest project: The Minister of Loneliness. They're making a film about the increasing phenomenon of loneliness in our ever more connected culture- an epidemic found in nearly every country and on most continents. Young adults and seniors are two of the most susceptible groups to experience a growing sense of disconnect. The symptoms are sometimes hard to identify, but often are related to feelings of despondency, physical lethargy, isolation and depression. Our audience came up with some easy steps to safeguard our well-being: take a walk around the block and say "hello" to those you meet. Call someone you trust and ask for help. Create boundaries for healthy use of social media. Join a local group like EVNA, a church, a bowling league- anything to get out of your house and engaged with others. 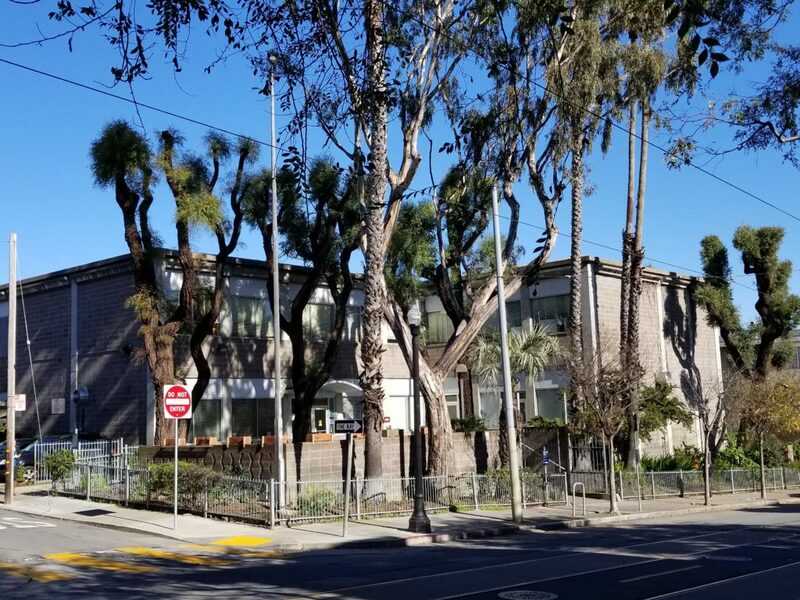 The Castro Mission Medical Facility is going to get an upgrade. We also learned about the proposed upgrades to the Castro-Mission Medical Facility on 18th Street. The interior floor plan is going to flip allowing for bigger exam rooms, a staff break room, and better offices, and on the outside, there will seismic fittings and a makeover to freshen the building look, including a reconfiguration of the landscaping removing the overgrown eucalyptus trees and planting more Mexican Fan Palm trees. Supervisor Mandelman made a cameo appearance, giving us an update on his on-going work to address homelessness and improve street conditions in our neighborhood, District 8 and the city at large. Especially important to deal with the most severe cases of mental distress that we see daily, is our support of SB1045. Rafael anticipates there will be well organized resistance to SB1045 by the Coalition on the Homeless and other civil liberties groups when the proposal is presented at the Board of Supervisors meeting, and has asked that we show up to weigh in as residents. 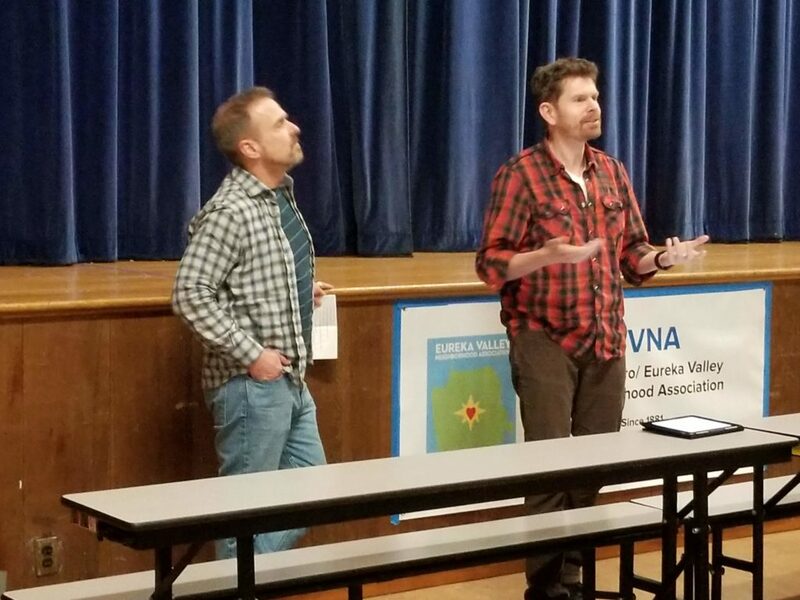 EVNA will let members and residents know when the meeting is scheduled. We also presented the Castro Welcome Packet- this project is result of months of collaboration by the neighborhood groups: DTNA, EVNA, Castro Merchants and the CDB, working together as the Castro Retail Strategy group. The idea is welcome new residents moving into the area, promote the neighborhood association, and encouraging them to shop our Castro businesses. We've designed a cool looking wine tote with Castro branding on it, and it will contain information on the local neighborhood group and as many discount and special offer to Castro businesses as possible. EVNA is looking forward to welcoming our new neighbors, and we are looking for volunteers to get them delivered! Previous PostPRESIDENT’S UPDATE January 2019Next PostNow is the time to wine!